Showing recent results 256 - 265 of 265 products found. 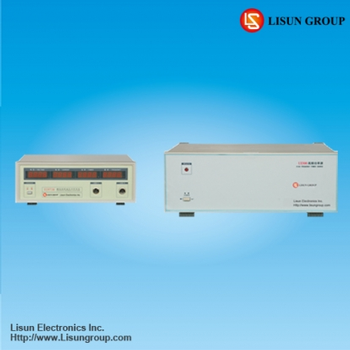 UI9730 - Lisun Electronics Inc.
• Parameters to be measured (absolute value): Measure hypo-class U, Iout, Hz, Hc, Br, Bm, Hm, Br /Bm, μm, magnetic core loss, B-H curve, U curve and I curve • Output capacity of the high frequency power: Uout: 1~300V, Iout: 0.05~5A, Pout: 300VA, frequency: 10~300kHz • Accuracy: 2% • With 12-bit high-speed A/D, sampling rate up to 40MHz, ensuring data precise and stable test result • Supermaximal database, suitable for almost all kinds of magnetic material in market, such as: circle, E, U, ETD-EER, JAR, RM, EP, PM, EL, ER, PQ, EFD, plane E, etc • Perfect software interface enables observation of curve in detail • Meet international test requirements for magnetic particle ASTM E1444, ASTM E709-08. Parameters to be measured (absolute value): Measure hypo-class U, Iout, Hz, Hc, Br, Bm, Hm, Br /Bm, m, magnetic core loss, B-H curve, U curve and I curve Output capacity of the high frequency power: Uout: 1~300V, Iout: 0.05~5A, Pout: 300VA, frequency: 10~300kHz Accuracy: 2% With 12-bit high-speed A/D, sampling rate up to 40MHz, ensuring data precise and stable test result Supermaximal database, suitable for almost all kinds of magnetic material in market, such as: circle, E ,U , ETD-EER, JAR, RM , EP , PM , EL , ER, PQ, EFD, plane E, etc Perfect software interface enables observation of curve in detail Meet international test requirements for magnetic particle ASTM E1444, ASTM E709-08. Sometimes you need to know what is hidden beneath a surface. Behind a wall, for example, inside a storage container, inside a shipping container, or behind a cover. 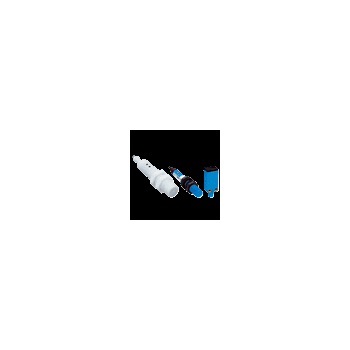 Capacitive proximity sensors are ideal for level and feed monitoring. From solid material, such as paper or wood, to granules or liquids, they can be relied upon to detect what is happening in the production process and during final inspection. Is there something behind that cover? Is the finished package really full? How much paint is still left in the tank? For capacitive proximity sensors, these are easy questions to answer. SICKs capacitive proximity sensors are never far from the action. Sensing ranges between 1 and 25 mm allow them to be used in nearly all installation situations, making them extremely adaptable for a wide range of applications. These sensors are also remarkably resistant to interference. Impurities, contamination, dust, and airborne spray particles have little effect on them, nor does electromagnetic interference. No wonder they are installed in a wide range of industries, such as food and automotive, or in storage and conveyor systems. 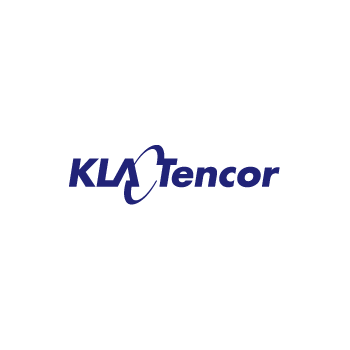 KLA-Tencor''s front-end defect inspection tools cover the full range of yield applications within the IC chip manufacturing environment, including incoming process tool qualification, wafer qualification, reticle qualification, research and development, and tool, process and line monitoring. Patterned and unpatterned wafer defect inspection tools find particles, pattern defects and electrical issues on the front surface, back surface and edge of the wafer, allowing engineers to detect and monitor critical yield excursions. Fabs rely on our high sensitivity reticle defect inspection tools to ensure that reticles are defect-free thereby preventing reticle defects from printing on production wafers. The defect data generated by our defect inspection tools is compiled and reduced to relevant root-cause and yield-analysis information with our suite of data management tools. By implementing our front-end defect inspection tools and analysis systems, IC chip manufacturers are able to take quick corrective action, resulting in faster yield improvement and better time to market. 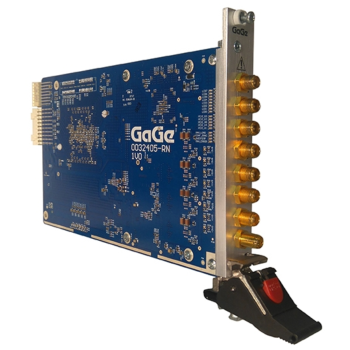 Available in 4-CH and 2-CH models featuring 31 software selectable A/D sampling rates from minimum 1 kS/s to maximum 1 GS/s per channel with input bandwidth of 700 MHz. ADC data can be captured in quad, dual, or single channel modes. Full-featured front-end with DC coupling (AC optional) and 50Ω inputs. Ease of integration with External or Reference Clock In & Clock Out. External Trigger In & Trigger Out with advanced triggering operations. PXIe Gen3 x8 data streaming rates at 4+ GB/s. Programming-free operation with GaGeScope PC oscilloscope software. Software Development Kits available for C/C#, LabVIEW and MATLAB for custom application development. Ideal for applications such as Automatic Test Equipment (ATE), Wideband RF Signal Analysis & Recording, RADAR, Electronic Warfare (EW), Ultrasonic Non-Destructive Testing (NDT), LIDAR, Communications, Optical Coherence Tomography (OCT), Spectroscopy, High-Performance Imaging, Time of Flight (TOF), Life Sciences, Particle Physics, and more. 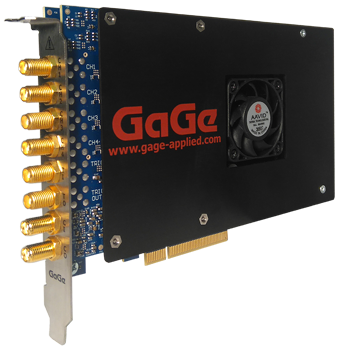 Available in 4-CH and 2-CH models featuring 31 software selectable A/D sampling rates from minimum 1 kS/s to maximum 1 GS/s per channel with input bandwidth of 700 MHz. ADC data can be captured in quad, dual, or single channel modes. Full-featured front-end with DC coupling (AC optional) and 50Ω inputs. Ease of integration with External or Reference Clock In & Clock Out. External Trigger In & Trigger Out with advanced triggering operations. PCIe Gen3 x8 data streaming rates at 4+ GB/s. Programming-free operation with GaGeScope PC oscilloscope software. Software Development Kits available for C/C#, LabVIEW and MATLAB for custom application development. Ideal for applications such as Automatic Test Equipment (ATE), Wideband RF Signal Analysis & Recording, RADAR, Electronic Warfare (EW), Ultrasonic Non-Destructive Testing (NDT), LIDAR, Communications, Optical Coherence Tomography (OCT), Spectroscopy, High-Performance Imaging, Time of Flight (TOF), Life Sciences, Particle Physics, and more. For warning of smoke and invisible fire particles. Ionization smoke detector. Applications from 40°F to 100°F (4°C to 38°C). Front loading battery door. 9V battery backup (included) in case of power failure. One button design for easy testing and HUSH mode activation control. LED indicates four modes of operation: standby condition, alarm condition, alarm memory and hush mode. Hush mode: silences false alarms for 8 minutes, or low battery warning for 13 hours. Voltage supply: 120VAC. Pre-stripped wiring harness with tinned strands. Audio alarm: 85dB at 10ft. Dimensions: 5" diameter x 1.75" depth. Dust cover prevents false alarms. Tamper resist feature. 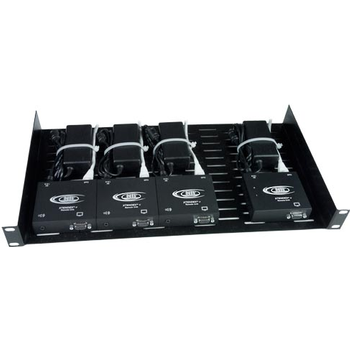 Links with up to 24 devices. Max distance between first and last device: 1000ft (305m). Alarm memory indicates initiating alarm in interconnected systems. Use compatible relay (ENVIROMUX-RLY-SDS120V) for connection to the ENVIROMUX system or other auxiliary warning devices such as external sirens or stairwell lighting. ENVIROMUX-RLY-SDS120V includes normally open and normally closed contacts. Contact ratings: 10A at 120VAC, 5A at 30VDC. Regulatory approvals: UL. In light microscopy it is natural to use toolsets like tweezers, knives, probes and several different measurement tools. Without this many present-day products and methods would not exist. The operators of SEM/FIB-Systems generally work without toolsets, although the wavelength limit of light is no physical boundary. 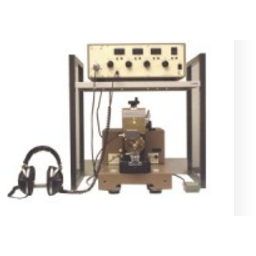 It can be imagined how technology would be pushed when a SEM/FIB Workbench reaches the same degree of practicability and utilization as toolsets for light microscopes. The Nanoworkbench is the first system substituting the eye-hand coordination effectively with nm precision in a SEM/FIB-system. 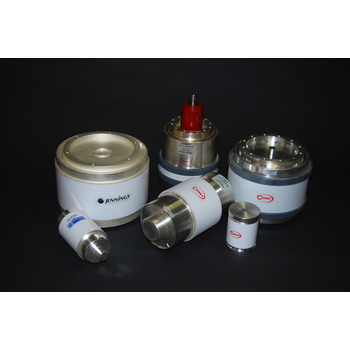 The Nanoworkbench features a set of applications including TEM lamella preparation, nano probing, nano cutting, nano cleaning, force distance measurement, particle sorting and material preparation. Every application supports automated processes so almost no user interaction is needed. Even complex processes can be done within seconds and even by untrained users. Applications can be combined to create new and more complex processes. 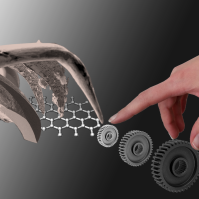 Expanding the SEM/FIB to a material processing system and a nano-analytical workbench by utilizing the Klocke Nanoworkbench enables new applications in research and production of material research, live sciences, tribology, environmental & forensic research and semiconductor technology.